If there ever was a time for extravagance, it’s now – the biggest party of the year, the Met’s Costume Institute Gala, is just a week away. Are you ready to walk the red carpet or watch those who will? Last year some favorite Clara Kasavina aficionados (wearers of Clara Kasavina evening bags and jewelry) strode the red carpet: Beyonce, Rihanna, Candy Pratts Price, and Jennifer Lopez (recently featured in the pages of VOGUE wearing Clara’s IVY CUFF) to name a few. We asked Clara to pick an adorable clutch; the perfect IT bag; a drop-dead entrance evening bag; or a height-of-fashion minaudiere and pair it one of these stars, for this year’s show. 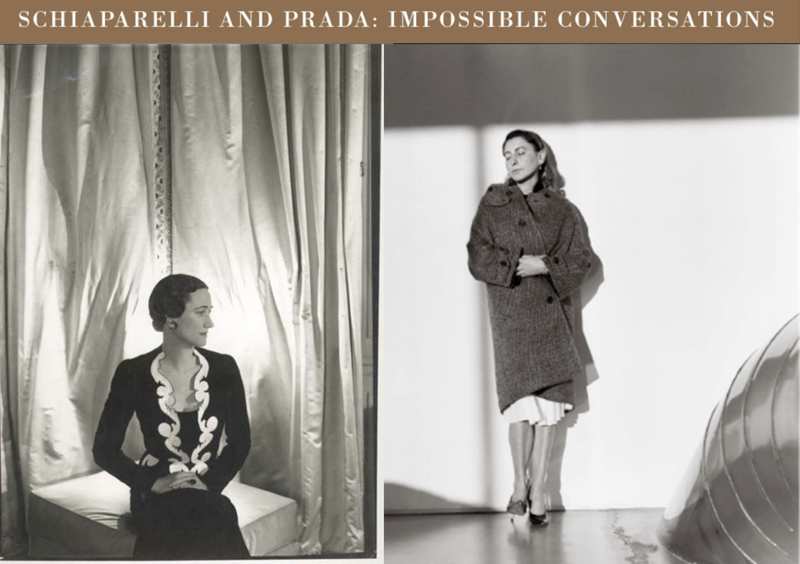 And because the exhibit is entitled “Schiaparelli and Prada: Impossible Conversations,” Clara references in her choices both of these iconic fashion figures – the 1930’s designer Elsa Schiaparelli and the very now Miuccia Prada. For Rihanna: Alexis is an adorable leather clutch in hot pink or you might say in shocking pink (Schiaparelli’s signature color named after the packaging color of her perfume, Shocking). For red carpet cool, this hot, neon-bright IT bag is the ticket. “And though it’s pink, we hope it will cause some green envy,” says Clara with a twinkle in her eye. 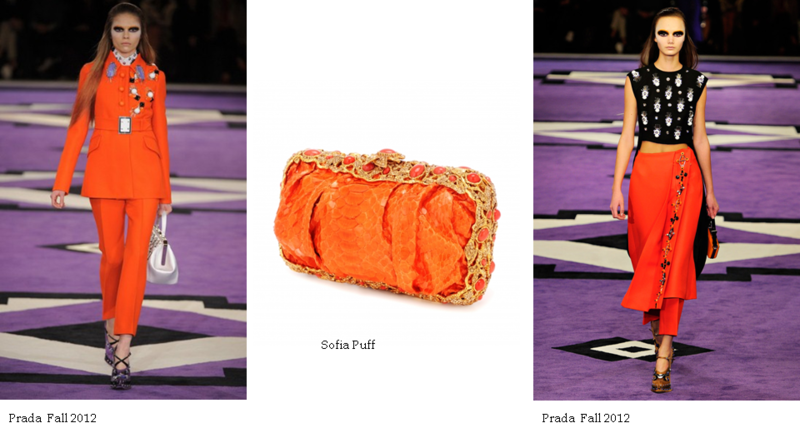 For Candy Pratts Price: This award-winning fashion editor adores color, so Clara chose Clara Kasavina’s Sophia Puff, an extravagant orange python clutch with a hand-sculpted metal frame topped by a floral center clasp set with cabochons and crystals. Prada loves orange, too, as shown by a stunning coat and prints “enriched with orange” on the runway at her February show. “Love of color is love of life,” says Clara. 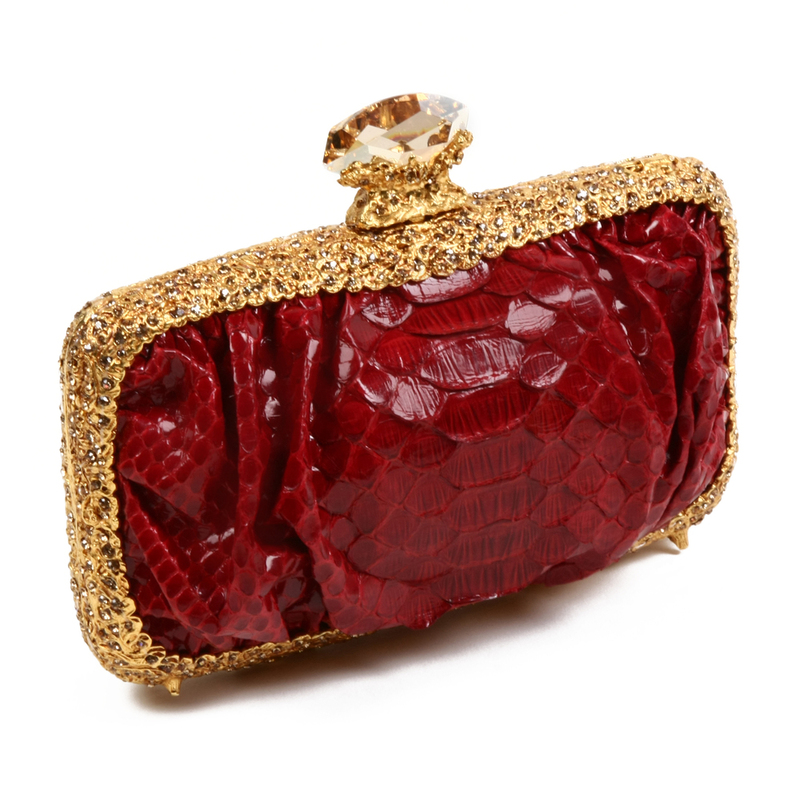 For Jennifer Lopez: Red is J.Lo’s color, so Clara picked Galaxy, a Python clutch in a sensual crimson red, inspired by a perfume bottle. It features a hand-sculpted filigree metal frame with a Galactic center and a SWAROVSKI® ELEMENTS clasp. This is the drop-dead entrance evening bag, guaranteed to turn heads. “And darling, don’t we all want to turn heads,” says Clara. Clara Kasavina will be presenting her Fall/Winter 2012 Collection during Accessories Circuit May 7-9, 2012 at Pier 94, NYC Booth #3315.